Warren Buffett has used his annual letter to Berkshire Hathaway shareholders to lambast presidential candidates who talk down the nation’s economic future as “dead wrong” – an apparent jab at Republicans and frontrunner Donald Trump. The billionaire investor, who is backing Democratic candidate Hillary Clinton, also raised a political issue dear to Democrats in his widely-read letter by calling climate change a “major problem for the planet,” although not one for Berkshire’s future. Trump has repeatedly said the US economy is in a “bubble” that he hopes will pop before he takes office. “I don’t want to inherit all this stuff,” he has said. But Buffett said such concerns were overblown. Buffett, whose Berkshire conglomerate recorded robust profits, urged shareholders to reject a proxy proposal that would require greater disclosures about how climate change might affect Berkshire’s insurance businesses. The Omaha, Nebraska-based company reported a record full-year profit of $24.08bn, up 21%, while operating profit rose 5% to a record $17.36bn. Fourth quarter profit was up 32%, and operating profit rose a larger-than-expected 18%. Berkshire owns roughly 90 businesses in areas as insurance, railroads, energy, food, apparel and real estate but he spent about 10% of his roughly 18,000-word letter defending 3G Capital, a Brazilian firm in which Berkshire owns 51% of Kraft Heinz and Berkshire’s Clayton Homes mobile home unit. Many shareholders questioned Buffett’s compatibility with 3G, an aggressive cost cutter led by Brazilian billionaire Jorge Paulo Lemann. Berkshire and 3G teamed up in 2013 to buy HJ Heinz and last year merged it with Kraft Foods. Buffett also helped finance 3G’s merger of Burger King with Canadian donut chain Tim Hortons, creating Restaurant Brands International. Following these mergers, 3G slashed thousands of jobs. Buffett acknowledged that while he and 3G “follow different paths” in running businesses, 3G has been “extraordinarily successful,” and more ventures are possible. “Jorge Paulo and his associates could not be better partners,” Buffett wrote. Clayton has been faulted in articles in the Seattle Times for predatory lending and discrimination against blacks and Latinos, which the large mobile home builder denies. But Buffett called Clayton a careful lender, and said it has escaped major regulatory fines despite 65 state and federal reviews in the last two years. 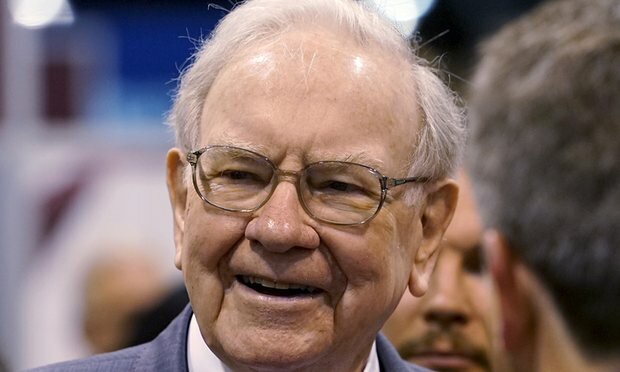 Buffett, 85, who is worth $62.1bn, made no mention of who might succeed him at Berkshire, which he has run for a half-century, and in passing said he still expected to be around at the age of 100. Buffett noted his advancing age and that of vice chairman Charlie Munger, 92, and said he plans to be around on 30 August 2030, his 100th birthday, to announce that Berkshire’s Geico unit has passed State Farm as the biggest US auto insurer. “Mark your calendar,” he wrote.